Bodybuilders love this product for many reasons. This product is an excellent fat burner since your metabolism is greatly increased while being on it. You can afford to be a little sloppier on precontest dieting since it will still burn fat when you are taking in a lot of calories since your metabolism is going haywire. 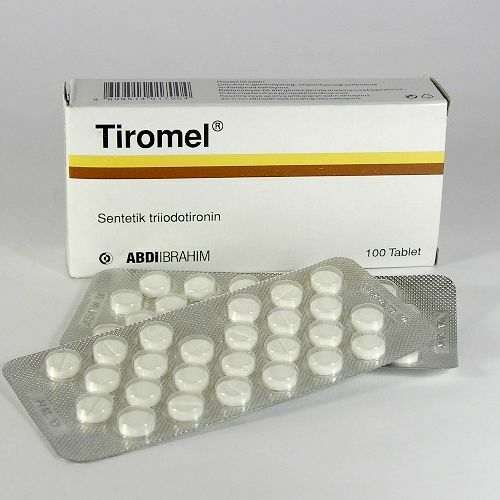 It also helps to make steroids more effective since it is such a good aid for protein synthesis. Do not forget that this product will work best on a steroid cycle and you need to keep your protein intake very high since this product metabolizes protein as well. Most people start with a low dosage of 25 mcgs per day and increase by 25 mcgs per day every 5 to 6 days. At the very most go up to 100mcgs per day. On the days which you are taking multiple tablets, you'll need to divide the dosage evenly throughout the day. 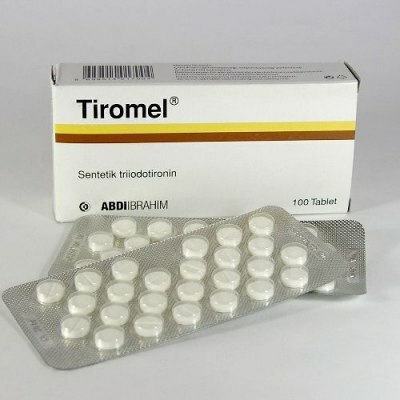 A maximum cycle of Tiromel would be 7 weeks. Once you''ve completed a cycle, make sure you go a minimum of 6 weeks before starting another one. This will also help your normal thyroid functioning to return. It is commonly stacked with Clenbuterol to make both even more effective at burning fat for precontest dieters. Average Dose: 25-100 mcg/day. The first time I took it I literally felt my thyroid heat up. I took 25mcg a day for two weeks then upped it to 50 the last 2 wks and dropped 16lbs combined with GP Clen. This stuff is absolutely amazing. I love this stuff. It starts working as soon as it hits your system.